A quick promo video of the 2011 Nissan GT-R(2012 US model)from GT Channel. After the minor change the GT-R has gone from 485 hp to 530 hp.In Japan and most of the rest of the world, car years are actual years. In the US, we go model year, to model year. http://gtchannel.com for more GT-R videos! With a substantial power increase and a raft of enhancements to the chassis, the interior and to its aerodynamic performance, the 2011 Nissan GT-R has reaffirmed its position as setting the supercar standard. 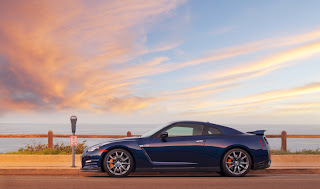 "When it was launched just over three years ago, the Nissan GT-R was heralded as a benchmark offering supercar performance at an affordable price. It won award after award and unstinting praise from everyone lucky enough to drive it. It would have been easy to sit back and rest on our laurels... but we don't do that at Nissan. Welcome the 2011 GT-R, the best GT-R yet." Andy Palmer, Senior Vice President, Product Planning, Nissan Motor Co., Ltd At a glance * Significant increases in power -- from 485 to 530PS... * ...and torque -- from 588 to 612Nm * 0-100km/h in a breathtaking 3.046 seconds * Significant increases in power and torque: up 9% and 4% respectively * Improved fuel consumption and emissions reduced by 3.5% * Improved aerodynamics with 10% greater downforce * Suspension changes for even better handling * Revised electronics for greater control * Bigger brakes and new bespoke tyres * Revised interior with greater comfort * One comprehensively equipped grade; two trim options * Improved cooling * Revised styling.